The “Luminizers” from The Balm have achieved almost cult status and I’ve been dying to try them for a long time now. As part of the Makeup Obsessives admin team, I have heard SUCH good things about the girls; Mary-Lou, Cindy-Lou and Betty-Lou – my main problem was which one I should get first. 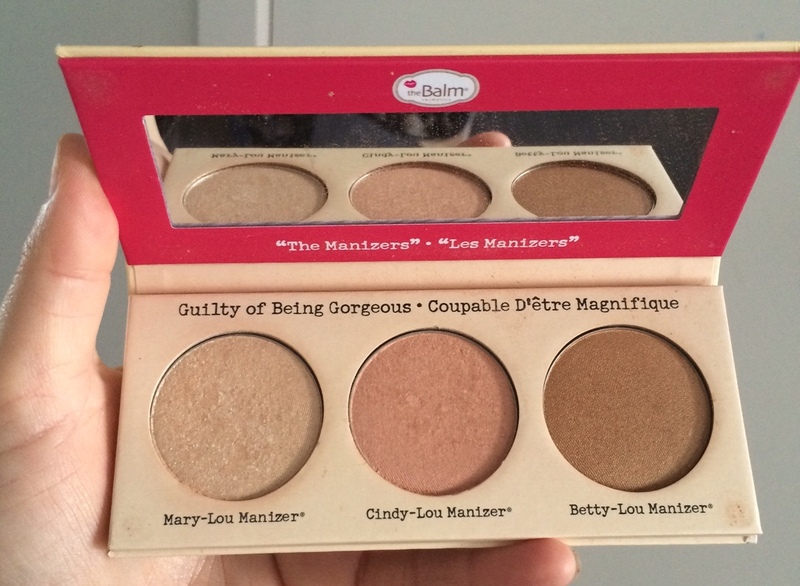 Thankfully the good folks at The Balm were onto it and solved all my problems in one go with this nifty little palette that has a version of each of the fabulous sisters! Obviously, being part of a palette, the pans are smaller than normal – 3 grams each as opposed to the standard 8.5 grams. However, for someone like me who couldn’t decide which one to get, they’re perfect! Cindy-Lou Manizer is a contouring powder. Now frankly, I’m no good at contouring and can’t really be bothered with the whole palaver, but since I got this one I have taken to sucking my cheeks in and swooshing it around on the hollowed bits. I’m not sure I’ll be mistaken for Twiggy any time soon, but I do quite like the subtle shadow effect it gives! Betty-Lou Manizer is the bronzer of the trio. And woah … when I first “subtly” applied this I looked like I’d been on sabbatical in the desert. You need to go lightly with this ladies – start small and build gradually. It does give you a lovely healthy glow once you get the application technique right though so it’s highly recommended. Below is a picture of moi, wherein I have applied the Mary-Lou and the Cindy-Lou sisters to my mug. I don’t know if it’s a great capture, and it’s certainly not the best picture of me, but actually I’ve found it quite difficult to photograph makeup. I don’t know how the famous YouTubers do it to be honest! Speaking of YouTubers – how freakin’ GORGEOUS is Carli Bybel?! Anyway – at least you can see the highlight, if not the contour! Now as I mentioned earlier, I am part of the Makeup Obsessives admin team, so I hear a lot about all sorts of different products in our group . Many of them I have tried, due to being the ultimate consumer, but to be honest, the majority just haven’t lived up to the hype. 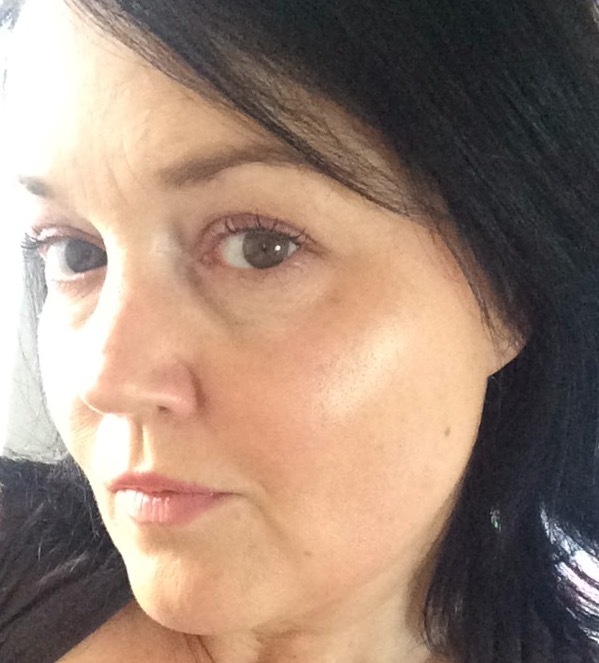 The Manizer Sisters, however, really do make a difference to my skin and I feel like they give it a lovely glow which is always nice at my age! If I had to choose, and when I go to repurchase, I would definitely go with the Mary-Lou and the Cindy-Lou first. And as always with products from The Balm, the packaging is fabulous – Mumpty does love that retro feel and the characters are wonderful. So that is my little review of my much-loved Manizer Sisters palette from The Balm. If I had to cut my review to two words; they would be BUY IT! Coming to MumptyStyle soon: my reviews on L’oreal Serioxyl hair growth system and Only Good natural body wash. Check my Reviews page for other makeup and makeup-related reviews. And click here for my recent review on the Creme de la Creme eyeshadow palette from Sauce Box. Posted on November 2, 2015 September 24, 2018 by MumptyStylePosted in Makeup/Skincare, Mumpty ReviewsTagged Betty-Lou Manizer, blogger, Cindy-Lou Manizer, makeup, Makeup Obsessives, Mary-Lou Manizer, NZblogger, The Balm.